Buying your first motorbike is one of the most exciting and thrilling purchases you will ever make. But it is important that you do not get too carried away, and make sure that you consider some important things before you go ahead. It is important that you cover all the bases of what you need from your first bike and ensure that you do your research beforehand. Here are some of the main things you should be sure to think about before buying your first motorbike so that you have a safe but thrilling first ride out on the open road. Safety is the most important thing you should consider before buying your first motorbike. Buying and driving a motorbike is very different than buying and driving a car as it can be a lot more dangerous. With a motorbike, you aren’t as protected, as it does not have the additional framework that a car does. Therefore, you should be sure that you have completed all the necessary safety training courses that are available to you, so that you can protect yourself and others while on the road. You will be much more exposed than other drivers on the road, so it is a good idea to sharpen all your safety skills before going ahead with your purchase. You should also check to see what safety features a motorbike has before you finish the sale, and make sure that all necessary features are in correct working order. 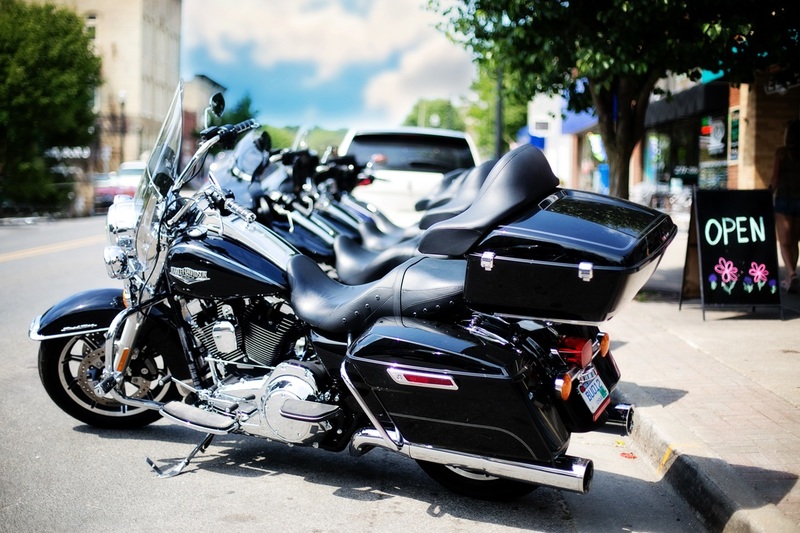 Getting your first motorbike insured can be a complicated and often expensive process, as you will have no prior experience for an insurance company to look at. While you may think that the cost of the motorbike itself is the biggest expenditure you will face, in fact, you may find that your insurance will set you back a lot more money. The cost of your insurance will likely depend on how old you are, how long you have been driving for, and the model and age of the motorbike you will be using. Therefore, it could be a good idea to check out how much your insurance would cost before going ahead with buying the bike. It will also depend on what your insurance will include, for example, some insurance policies will cover you for medical bills, theft, and damage, but the more your insurance covers, the more expensive it is likely to be. On top of the costs of the motorbike and the insurance, you will also need to think about investing in some accessories. This will include a quality helmet to improve your safety while riding, as well as offering you an additional layer of protection. It is illegal to ride a motorbike without a helmet in the UK, so this is something you MUST sort out before you ride your new bike for the first time. You may also want to add a personalised number plate to your motorbike to give it that unique and customised look. One useful tool you can use for this is the plate builder on number1plates.com which gives you a visualisation of what your personalised plate will look like. You can edit the size, material, text style and more using this which allows you to create something truly unique. You should be sure to do some research on the different types of motorbikes out there before you go ahead and make a purchase. There are so many different models of motorbikes, and they all tend to fit different purposes. If this is your first bike, then you shouldn’t worry about getting one with too much speed to it, as it will take you a while to feel more confident on the road. Think about what you want to use your motorbike for. You may just be using it to get to work, or you may be solely buying it as a hobby. Either way, investigate the different models and work out which motorbikes are best suited to what you need it for. Remember that you don’t need to buy a motorbike that has features you won’t need as, with this being your first bike, you will still be developing your skills and competence. When buying your first motorbike, it is worth looking into purchasing one that is second-hand. This is because you are still new to riding so are likely to make mistakes that could potentially damage your bike (such as dropping it). If you were to buy a brand-new bike, then the slightest dent or scratch could significantly decrease its value. Additionally, when buying your first bike you will probably start with a less powerful bike and then work up to something more substantial and powerful, so buying second hand will save you money. We know that buying your first motorbike is exciting, but make sure you consider these things before going ahead with the sale.